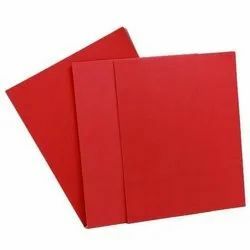 Manufacturer of a wide range of products which include ptfe sheets, vulcanized fibre sheets, asbestos sheet, syndanio sheets and pre compressed board. Polytetrafluoroethylene (PTFE) is a synthetic fluropolymer of tetrafluroethylene that has numerous applications. PTFE is a fluorocarbon solid, as it is a high-molecular-weight compound consisting wholly of carbon and fluorine. PTFE is hydrophobic: neither water nor water-containing substances wet PTFE, as fluorocarbons demonstrate mitigated London due to the high electronegativity of fluorine. PTFE has one of the lowest coefficients of friction against any solid. PTFE is used as a non-stick coating for pans and other cookware. It is very non-reactive, partly because of the strength of carbon–fluorine bonds and so it is often used in containers and pipework for reactive and corrosive chemicals. Where used as a lubricant, PTFE reduces friction, wear and energy consumption of machinery. It is also commonly used as a graft material in surgical interventions. The major application of PTFE, consuming about 50% of production, is for wiring in aerospace and computer applications (e.g. hookup wire, coaxial cables). This application exploits the fact that PTFE has excellent dielectric properties. This is especially true at high radio frequencies, making it suitable for use as an insulator incables and connector assemblies and as a material for printed circuit boards used at microwave frequencies. Combined with its high melting temperature, this makes it the material of choice as a high-performance substitute for the weaker and lower-melting-point polyethylene commonly used in low-cost applications. In industrial applications, owing to its low friction, PTFE is used for applications where sliding action of parts is needed: plain bearings, gears, slide plates, etc. 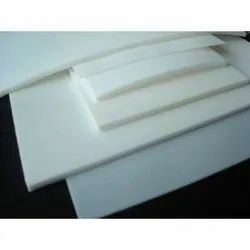 In these applications, it performs significantly better than nylon and acetal; it is comparable to ultra-high-molecular-weight polyethylene (UHMWPE). Although UHMWPE is more resistant to wear than PTFE, for these applications, versions of PTFE with mineral oil or molybdenum disulfide embedded as additional lubricants in its matrix are being manufactured. It’s extremely high bulk resistivity makes it an ideal material for fabricating long-life electrets, useful devices that are the electrostatic analogues of magnets. 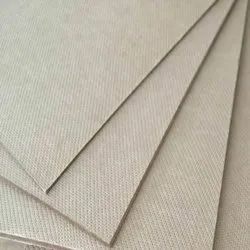 We are offering Vulcanized Fibre Sheets to our client. 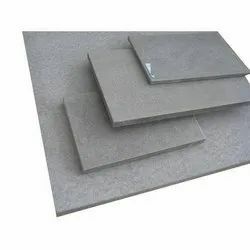 We are offering Asbestos Sheet to our client. We are offering Syndanio Sheets to our client. We are offering Pre Compressed Board to our client. 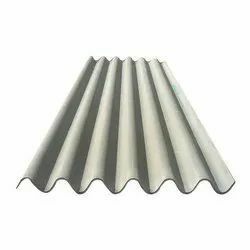 Looking for Industrial Sheets ?